Nothing can sabotage a marriage, a family, a friendship, or even a whole lifetime more effectively, more totally than anger denied, misplaced, unexpressed, or unresolved. But many of us have been taught that our anger is a shameful thing that should be buried away somewhere and never allowed to surface. It's time to get over that bad advice. It's time to make well-managed anger a positive force in our lives. It's time to admit our anger, understand it, and turn it to our advantage. 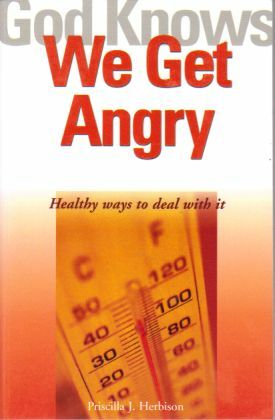 In God Knows We Get Angry, Priscilla Herbison tells you how and why!